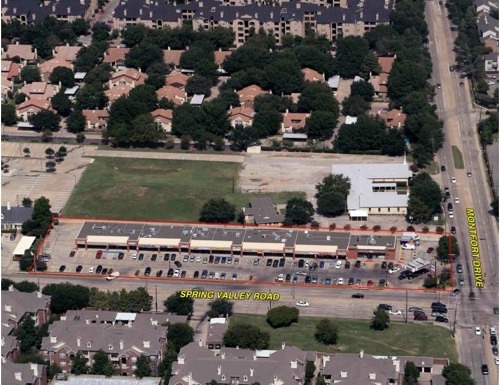 Montfort Corners is located at the NWC of Spring Valley Road and Montfort Drive in Dallas, Texas. The center is located near high-density apartment communities, with convenient access to the Galleria, Dallas North Tollway and LBJ Freeway (I-635). Tenants include 7-11, AutoZone, Metro PCS, several restaurants, a dental office and other neighborhood services.